As senior loved ones age, emotionally difficult decisions have to be made about their future care. After all, these seniors are losing some control of their lives, and may fiercely resist any attempt at placement in an assisted living or long-term care community. Family members may have differing opinions but must agree on the next steps for their care. Beginning sooner rather than later has advantages over waiting until choices are limited and decisions are made hurriedly. It may allay fears, prepare minds and hearts, and place the senior in a safer and more enjoyable environment that’s best for them. 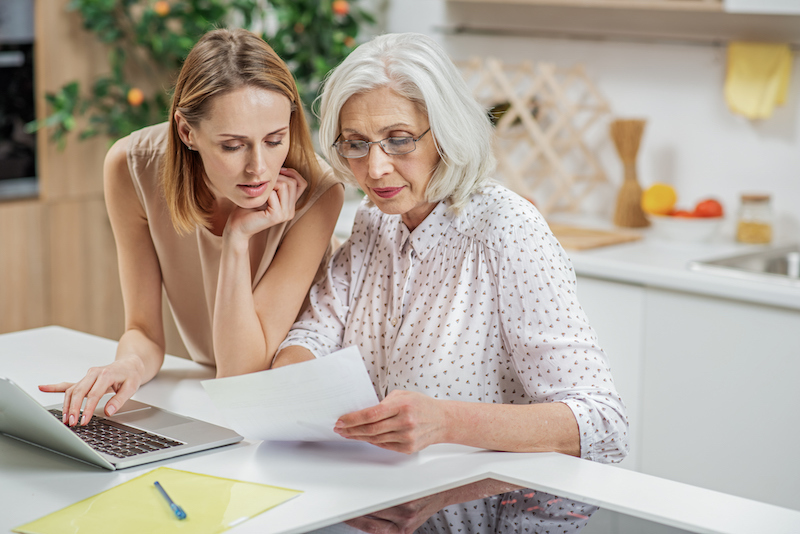 Consider these tips along the way, and avoid common missteps when choosing an assisted living community for your loved ones. According to Lea Ann Coates, Residency Counselor at Bethesda Hawthorne Place, selecting an assisted living community with or for a loved one requires an early and honest assessment of the senior’s current capabilities and what their needs may be in the future. Also, keep in mind, she points out, that many assisted living communities are at or near capacity and may have a waiting list for apartments, so the sooner you begin your search, the better. She adds one other caution: “Simply because a community has beautiful furnishings and common spaces may not mean it provides good care,” she says. Having Mom and Dad in a community close by makes visits more convenient and, hopefully, more frequent for the family. But if the community is not a good match for the parents, the more frequent visits may not make up for a community that does not match the tastes, interests or personalities of the residents. The family should have a realistic understanding of their senior loved ones’ needs before they begin looking at assisted living options. For example, if a senior has been falling frequently, entering an assisted living community won’t prevent that. With that in mind, family members should inform staff of any medical, cognitive or behavioral problems up front. “We want our residents to be successful from the beginning of their stay with us,” she says. Sometimes the need to provide assisted living for a loved one is urgent. A sudden injury, unforeseen illness, or change of circumstances places a premium on finding a community quickly. If that is not the case, Lea Ann strongly encourages that families tour assisted living communities. Scheduling a tour will afford you the opportunity to see the facility in person, chat with staff and residents, and ask any questions that you may have. Lea Ann walks the halls of Bethesda Hawthorne Place, introducing visitors to the residents and staff. If the tour is around lunchtime she may ask visitors if they would like to have lunch and often arranges for current residents to join the prospective resident and their family if desired. She also encourages current residents to speak candidly to prospective residents and family members about their experiences. “Honesty is the best policy, and those considering the move need to know what to expect. Our staff does a great job of easing the transition into an assisted living community, but the reality is it is change. Our residents have lived the experience and are able to share that it takes a while to get used to routines, make new friends, and to feel comfortable in your new surroundings,” says Lea Ann. Another thing to look for while visiting an assisted living community is to check if it is clean and well-maintained and if the residents appear well-cared for. She adds that it is important to read any literature that’s available at the community. “I think it’s very important to find out about the parent organization and their philosophy of care, as well as the details of moving into the community itself for by familiarizing yourself with policies and procedures that are relevant to your parent,” she says. Also, assisted living communities have different payment structures. Learn about them at the community you are considering so there are no surprises about costs or future fee increases. At some point, the effects of aging may require a higher level of care for seniors. If an assisted living community like Bethesda Hawthorne Place has been selected, residents can stay within the Bethesda system and be transitioned to long-term care with skilled nursing capabilities and memory support. Bethesda Hawthorne Place is our newest Assisted Living and Memory Support community, centrally located in the Webster Groves / Kirkwood area of St. Louis. Schedule a tour to see how this community will create a customized care plan for your loved one, while providing all the comforts of home.